If you happen to be in the area June 10, please visit. Located approximately 9 miles away from San Ignacio is San Antonio Village. On your way, rolling hills and countryside dotted with farms, homes and friendly dogs and chickens will greet you. There is even a coconut water stand right outside of Cristo Rey Village. The Garcia Sisters, Cayo’s famous slate carvers are established there and their Tanah Mayan Art Museum is worth the visit. San Antonio is also the home of the late Don Elijio Panti; Shaman Guide, Spiritual and Herbal Healer and renown globally. Infact, there is National Park established in his honor which is located where the village ends and also borders neighbouring Cristo Rey and El Progresso Villages. The recently established San Antonio Women’s Group draws visitors to the village as they showcase local tradition and customs. Additionally, Pacbitun Maya Archeological site sits on the outskirts of the village and becomes alive in the summer as study abroad groups conduct research and excavation. With the steady growth of tourism in the area over the past few decades and with growing threats to biodiversity and culture, there is the obvious need for mitigation and local intervention to help protect and raise awareness among locals and visitors. It is then the Vision of The San Antonio Sustainability Committee to help achieve this through education, sports and local inclusion. 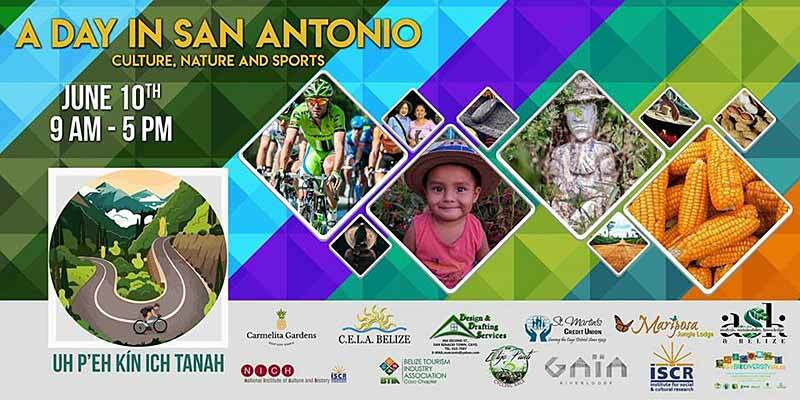 We invite you to follow and help us as we engage in our first ever event with the aim of reviving culture, instill appreciation to nature and our surroundings and to engage local families to become involved in our quest to bring San Antonio back to life in a sustainable and safe manner.